The Stylus Scan 2500 couldn’t be easier to use. Panel™ software gives you fast access to every function. or to scan an image directly into another application. all-in-one unit! color digital copying. printing 1440 x 720 dpi for sharp, Photo Quality prints. 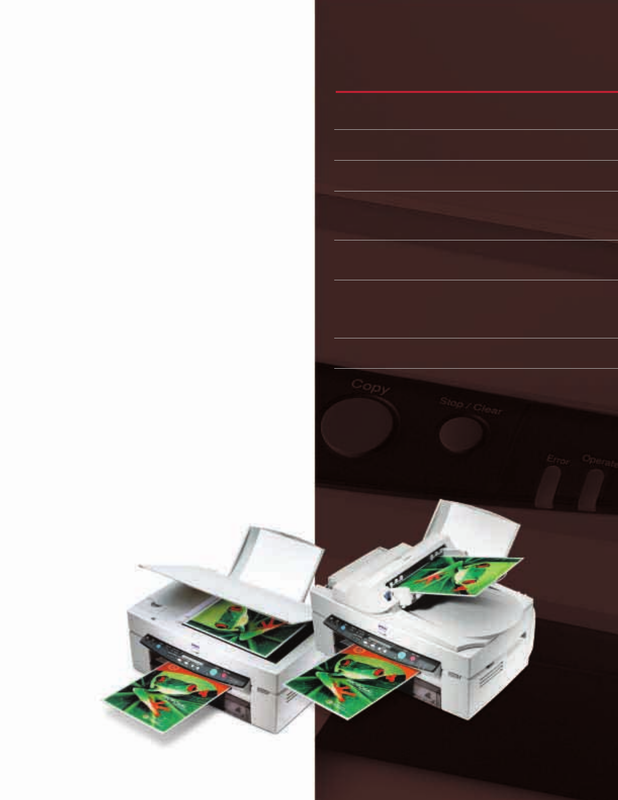 scanning technology and EPSON MicroStep Drive. EPSON Stylus Scan 2500 Pro). easy-to-use scanning, printing and copying a breeze. and receive faxes from a PC.